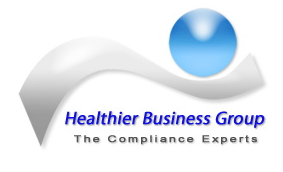 Healthier Business employ various systems that alert our team to potentially falsified documents along with having alerts generated from our portal when there is suspicious behaviour on accounts. We work with various bodies to help combat fraud in the recruitment industry and on we on most weeks verify over 500 candidates for external auditors completely free of charge. Lastly we work with our clients to ensure that they are appropriately trained on spotting falsified documents and the process for reporting to governing bodies when necessary.